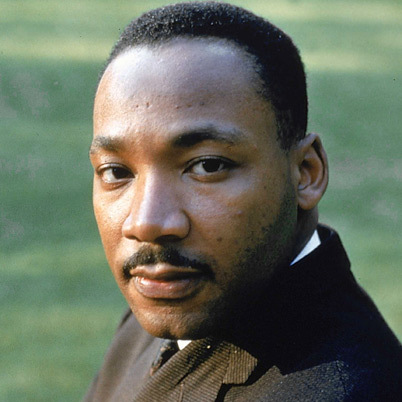 Dr. Martin Luther King Jr. was the most important leader of the American civil rights movement. He helped unite a nation with his powerful speeches and use of non-violent protests. His 1963 “I Have a Dream” speech is one of the greatest in human history. King’s efforts to end racial discrimination earned him the Nobel Peace Prize in 1964. King was born in 1929 in Atlanta. His father was a reverend and so King had a religious upbringing. He graduated from college with a degree and a Ph.D. in religious studies. King went to India to visit Gandhi’s family. He was inspired by Mohandas Gandhi’s success with non-violent resistance and saw it as a “potent weapon” in America’s struggle for civil rights. King was instrumental in achieving many successes in ending segregation laws. He led the Montgomery Bus Boycott which ended racial segregation on public buses in Montgomery. He realized that non-violent protest would attract extensive media coverage of the struggle for racial equality. His campaigns soon elevated the Civil Rights Movement to be the most important issue in American politics. King helped organize the famous Million Man March on Washington in 1963, where he spoke to the nation appealing for racial harmony. His non-violent protests met with success as Congress passed civil rights laws (1964) and voting rights laws (1965). King’s friendship with President John F. Kennedy also helped his cause. King was assassinated on April 4, 1968.